New Delhi, April 13: The President of India, Ram Nath Kovind, greeted the citizens of India on the eve of the 128th birth anniversary of Dr B.R. Ambedkar, or Babasaheb Ambedkar, the father of the Indian Constitution. Ambedkar Jayanti 2019 Quotes: Famous Sayings by Dr BR Ambedkar to Remember Him on His 128th Birth Anniversary. In a message, the President said, "On the occasion of Ambedkar Jayanti, commemorating the birthday of Dr Bhimrao Ramji Ambedkar, the Chief Architect of the Constitution of India, I extend my greetings and felicitations to all fellow citizens. 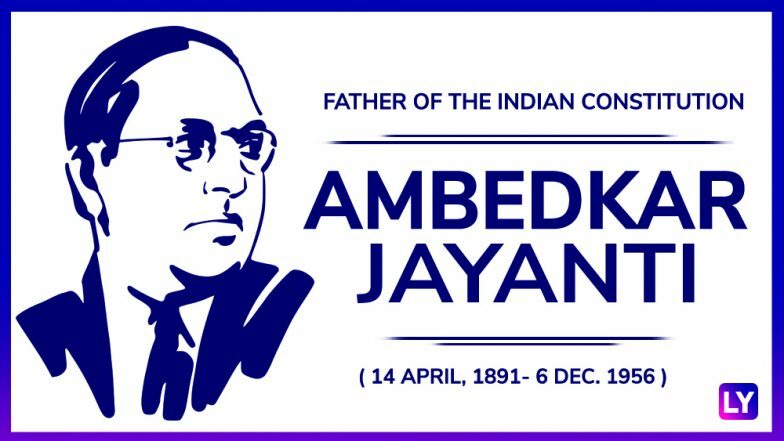 "Ambedkar Jayanti 2019: Date, Significance of Bhim Jayanti That Marks Dr Babasaheb Ambedkar's Birthday. The President added, "Dr Ambedkar was an outstanding leader of our freedom struggle and a staunch crusader for the rights of the downtrodden and traditionally disadvantaged sections of our society. A scholar, educationist, legal luminary, social reformer and political leader, Dr Ambedkar's philosophy and life are an inspirational profile of courage and conviction." Emphasising on Dr Ambedkar's role in empowering the masses and especially the downtrodden, President Kovind added, "Dr Ambedkar envisioned a society where the weaker sections, the historically deprived, peasants, labourers, and especially women, get equal rights and respect. He was an ardent advocate of resolving all issues through democratic, peaceful, non-violent and harmonious means. The path shown by him strengthens the spirit of fraternity, compassion and equity. On this day, let us take a pledge to learn from Dr Ambedkar's life and thoughts, and follow his teachings," read the President's message.